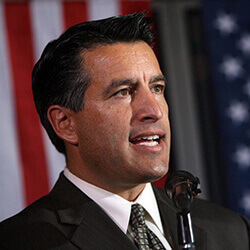 Recently, Governor Sandoval of Las Vegas has signed an executive order that has established a new committee, namely the Southern Nevada Sporting Events Committee. Their main goal is to bring a wider selection of major sporting events to the state, including such events as the NFL Southern Draft, The Super Bowl, and even hopes of the Soccer World Cup in the future. Although Nevada was once avoided by many sporting agencies due to the high degree of sports betting that takes place in the capital, the state has now become one of the most important places in the country for major sports-related events. Nevada’s Golden Knights are the first team in the history of the NHL to succeed in their very first play-offs in their first inaugural season. They’ve also quickly become a favourite of Las Vegas sports books, and are now the favourites for the Stanley Cup. Despite the current success of the Golden Knights, there was initially much doubt surrounding the idea of brining the NHL into Las Vegas due to the work hours of the city. A third of the population works at night, and many believed this would cause revenue problems as most NHL games are broadcast at night. Governor Sandoval remains adamant that pushing a strong focus on sport in the city has already seen a return on investments, and that the city will soon have the infrastructure to host bigger sporting events on a more regular basis.